The Internet is considered to be the fastest medium of communication that is available for general use all over the world. Hence, clients seeking web hosting services were initially well served through host servers located anywhere on the planet. However, the Internet revolution has occurred and chugged along in a lopsided manner. While there has been a rapid growth in computer density, Internet connectivity, bandwidth expansion, and information transfer in the Western world, the Eastern parts still play to catch up. This factor plays an important role in response time, efficiency, and security across the Internet. The rapid advancement in Internet use in America and Europe has put an enormous pressure on their local networks. Websites that are located in both these continents are accessed vigorously by local as well as international clients. This reduces speed of data transfer and often leads to server crashes. There has been as attempt to reduce such overloads by introducing cloud-hosting techniques. This has been matched by the surge in computer and Internet density across Asia. A majority of servers involved in virtual networks are still located in the Western hemisphere, defeating their purpose. With the growth of web hosting businesses, there has also been a rampant increase in unscrupulous hosts, who may indulge in plain cheating and theft of information. The absence of stronger laws regarding Internet use and applications has prevented development of the hosting industry in Asia. The archaic laws prevent expansion of bandwidth in most parts of Asia and hence web masters find it suitable to base their sites with servers in America or Europe. But, the number of routers over which users in the fast developing parts of Asia and Oceania are enormous. This greatly reduces speed of data transfer and impedes online transaction. Most of the southern countries like Australia are linked through cables through Asia. This negates the better bandwidth and infrastructure available in these countries. It has been found that locally availed web hosting services may prove to be far efficient than those from overseas. The differences in time zones can be an impediment, when it comes to good customer service. Web masters all across the world are bound to rush to hosts offering the cheapest and best deals. This further creates a recipe for a logjam in the networks linking with these hosts. Local hosts can provide better maintenance services at a quicker pace than those overseas. 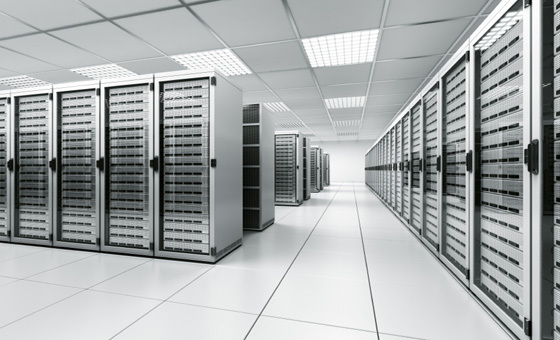 All across the world, web hosting charges are roughly between dollars 5 to 10. The local hosts, who charge high, may still prove to be better when compared to others who offer far cheaper services but without an assurance of consistent quality. Shifting from an international to a local host can be beneficial for some, who experience a “24 hour logjam”. Although many people expect that there will be a lull in night time Internet usage, they forget that there are equal number of netizens, who wake up on the other side of the world. Hence, often the only solution to ensure minimum chances of slow down is by localizing the server. Location of server can also be used advantageously, if it is closer to the target audience, rather than the web master. This is the reason, why most search engines have number of servers spread across the world. Servers based in Asia pick up website links that cater mainly to that continent and similarly for others. For dedicated servers, localization can prove easier for web masters to incorporate improvements in the website functioning.